Add One Fit Thing each month to increase your health, fitness and happiness. To me being fit means being able to participate fully in my life. It’s not the size of my jeans or number of miles I run. It’s not yo-yoing up and down the scale. It’s not about miracle cures or pills or even cavemen. Participate fully in my life. That is my goal. I am not here to promise you a quick fix. I’m not going to promise you the ability to lose 1000’s of pounds. (Although the number of times I’ve lost the same 10, 20, 30 pounds seem to add up to 1000’s of pounds). I have tried many diets and some have worked (in 2015 I lost 60 pounds) and some have left me HANGRY (hungry + angry). Others left me tired. Others left me feeling great but heavier than I started (in 2016 I gained back 30 pounds). How can I participate fully in my life if I spend all of my time obsessed with the weight on my scales? I have spent a lot of time doing research trying to figure out how to make this work. First, Rome wasn’t built in a day and neither was I. Meaning that I am in the shape I am in and the person who I am because of every experience, and decision I have ever made. We can probably throw in some genetics also. So to think that I can just wave a magic wand and change everything in a few days is, well, impractical. I may be able to starve (or diet pill or do 100 sit-ups, push-ups and run 10 miles daily) my way into a smaller dress in 30 days but my experience has shown that I can’t maintain it. Eventually I will eat, stop the diet pills (to get rid of the headache, stomach ache etc.) and want to do something other than 100 sit-ups, push-ups and run 10 miles daily. Second, I have a limited attention span. Meaning that I have a lot of things to think about for my work and my family and don’t (can’t) neglect either one. So should I put myself first? YES! Will I? Probably not. :). So if I am going to rebuild (unbuild?) myself I need to focus on one thing at a time. Once small change and then once it is a normal part of me, I can add another change. 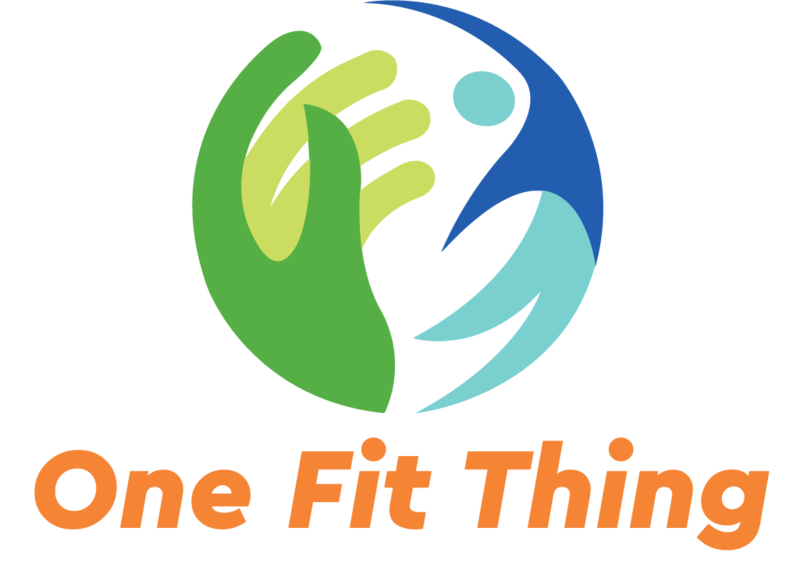 So.. One Fit Thing at a time. Not every single fit thing I have ever heard of, or read about all at once in an unmaintainable jumble. I am inviting you to join me for this journey. A bit about the diets I met and how they changed me. Eating is the EASY part.